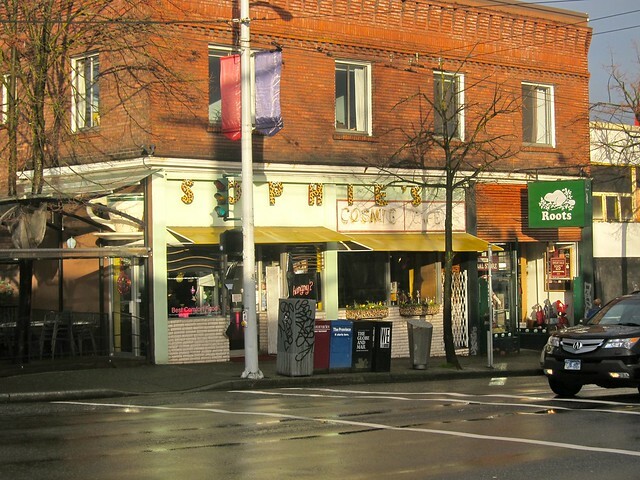 Breakfast for lunch at Sophie's Cosmic Cafe on West 4th Avenue in Kitsilano on December 9, 2010. 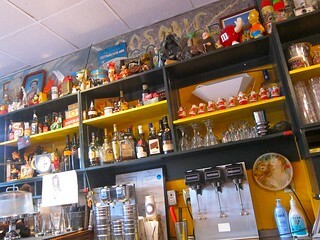 I have been desperate to try out Sophie's Cosmic Cafe for ages. I am not often in Kitsilano or on West 4th Avenue, aside for catching the occasional indie flick at Fifth Avenue Cinemas. After a midday break at UBC, I decided to trek down to Kits on a beautiful, sunny after some rainfall and head over to this diner with a blast from the past. 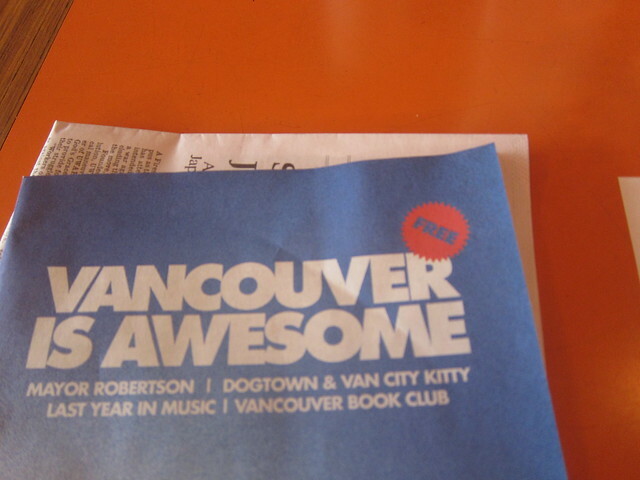 I sat back and relaxed with my special Vancouver Is Awesome double edition of Discorder Magazine, which was indeed awesome. It was such a great issue from cover to cover. I love milkshakes, especially espresso flavoured ones. I remember fashion blogger extraordinaire Nicole Soon recommending the shake here and it did not disappoint. 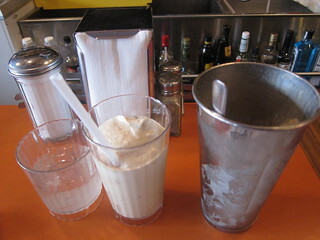 It was probably one of the best, if not the best, espresso milkshake I have had. I love the restaurant decor, red seats and all. 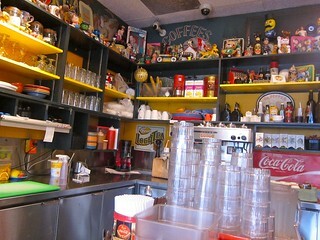 There are knick knacks and colourful random junk everywhere. 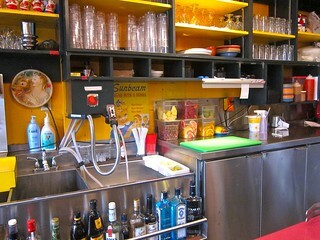 The staff was super nice and attentive. I was thoroughly impressed with their vast and impressive menu selection of breakfast items, sandwiches, meals, drinks, and deserts. I had a tough time choosing and was torn as I almost ordered the Belgian waffles. 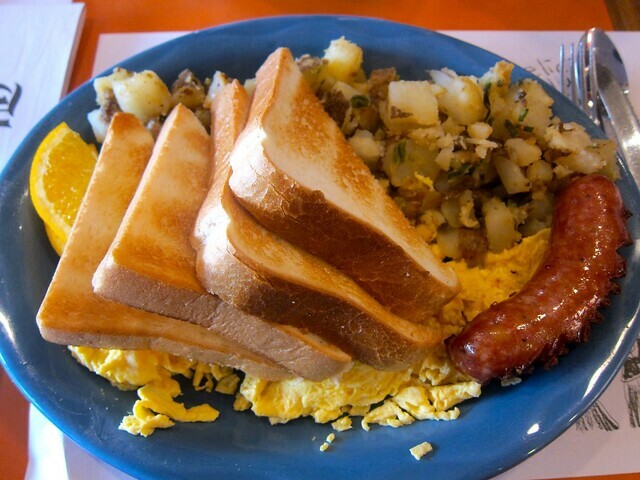 I ultimately decided on an old school breakfast of scrambled eggs, Italian sausage, home fries, and toast. It was so very good. It was a bit heavy on carbs like the toast and potatoes, but it filled me up nicely. I had a great, relaxing meal at Sophie's. 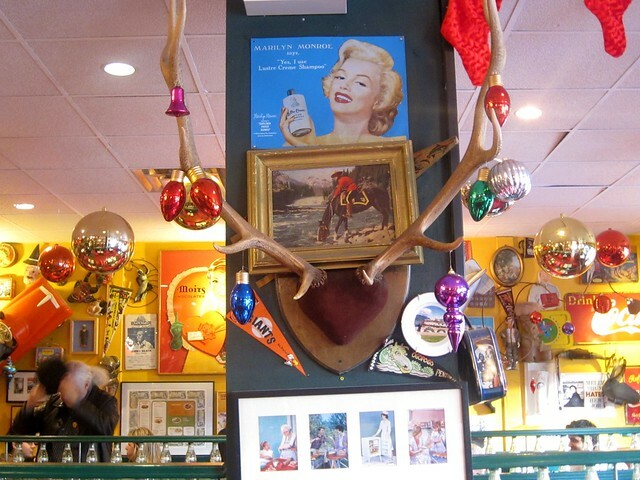 I'm in love with this kitschy, fun diner and its charming decor, cool location, and friendly staff. Like the Governator, "I'll be back." I haven't had breakfast yet and your photos aren't helping. Yay I'm so glad that you liked the espresso milkshake there! It truly is the best I've ever had. 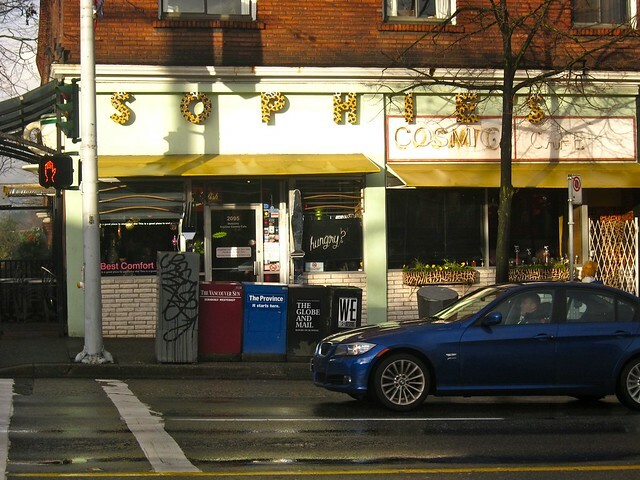 Thanks for the mention btw :) Actually, now I might have to convince my friend to drive all the way out to Kits... after reading your post, I'm craving Sophie's! Hope you're having a great weekend Rick! I know, it's so good. I love milkshakes so much.